Jeff contacted us over the weekend to see if there was any interest in his 1975 Commando. 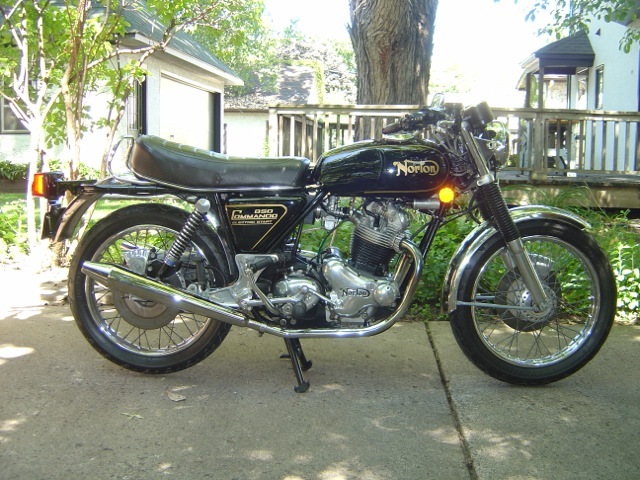 He’s had it listed on Minnesota Craigslist, but this time of year it’s not getting many views. It’s a gorgeous example has been featured on a magazine cover with Keanu Reeves (too bad it wasn’t Kate Upton). As you’ll see in the pictures it’s a beautiful example and would make a great surprise for someone’s holiday this year! 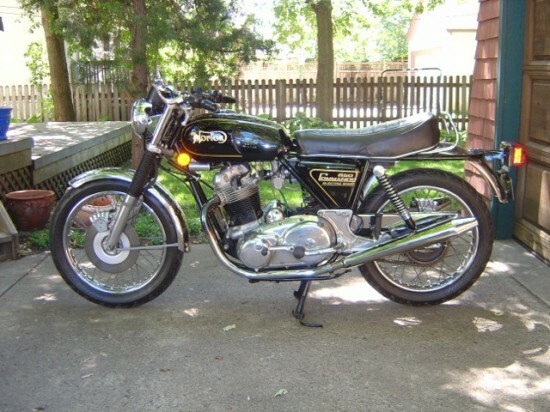 Jeff’s description of the bike is below as is his contact information. Good luck with the sale! The bike was used in a Vanity Fair photo-shoot with Keanu Reeves when he was in Minnesota filming “Feeling Minnesota”in 1996, can email magazine scanned pictures, one copy of the magazine goes with the bike. The top end rebuild was done in the Spring of this year (2012) and is still in need of a proper breaking-in period. 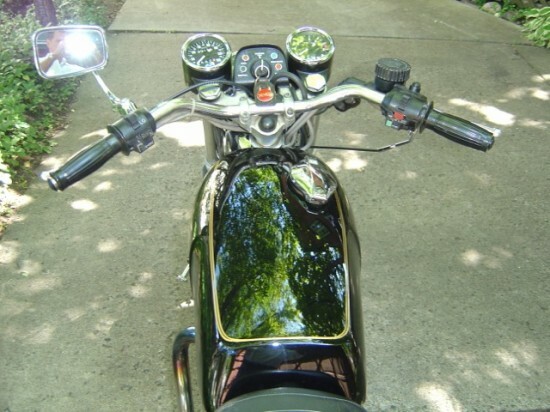 Only 250 miles have been put on the bike since the rebuild and it is still using oil. 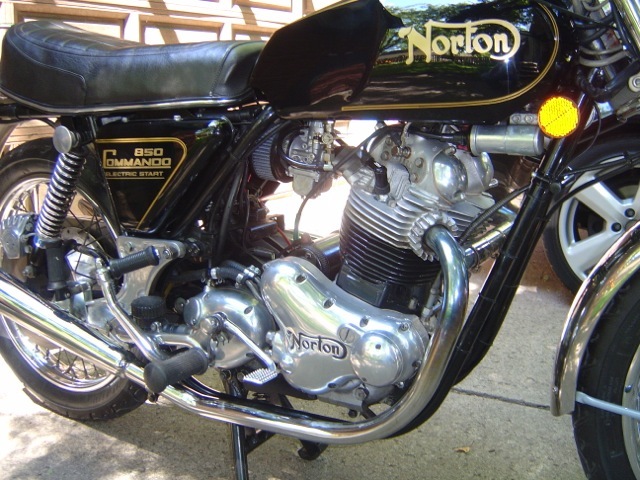 Other than the break-in the bike runs and handles as a 150 psi torque-y Norton should.